I love Argentina. Its culture, the people and, of course, the food. I visited Buenos Aires with my family last year and I know it sounds like a bit of a cliché, but the experience really changed me. I met lots of people - and they were all warm, passionate and - the best part - they all wanted to feed me. That was obviously brilliant. 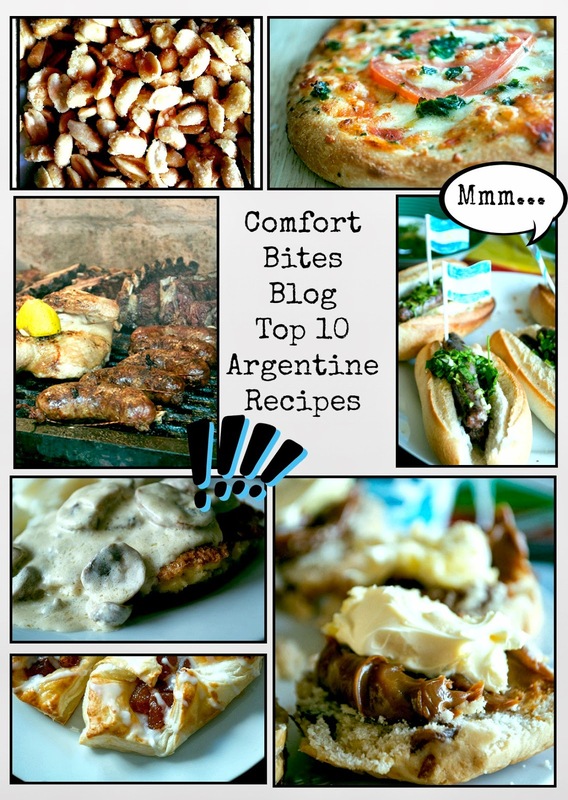 I've shared quite a few Argentine recipes on the blog. Some I learned to cook while I was out there, some I made when I got home and some are sort of British-Argentine mash ups, like the dulce de leche and clotted cream scones below. Here are some of my favourites. Click on the titles to get the recipes. 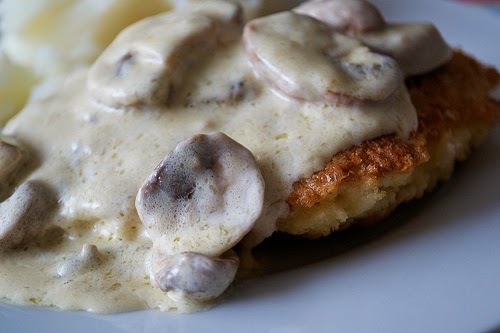 This dish, in Argentina, is called 'milanesas de pollo al champiñón'. It's quite creamy and decadent, but you don't need to have the billowing creamy sauce if you don't want to. Easy to make, and it really hits the spot. Oh my goodness. Probably the best cake I've ever made. It was inspired by a birthday cake my husband told me about. 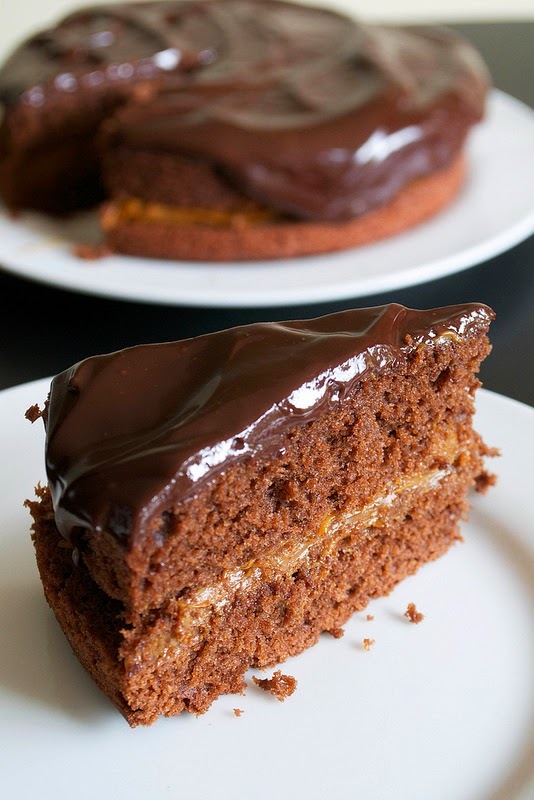 Real chocolate sponge cake, sandwiched together with thick dulce de leche pastelero and then topped with a rich chocolate ganache. I've said enough, haven't I? I thought I'd miss the beef when I returned from Argentina. But I missed the chorizo sausages a whole lot more. Dense pork sausages pressed into a crisp, white roll and then daubed generously with chimichurri salsa. Gorgeous. 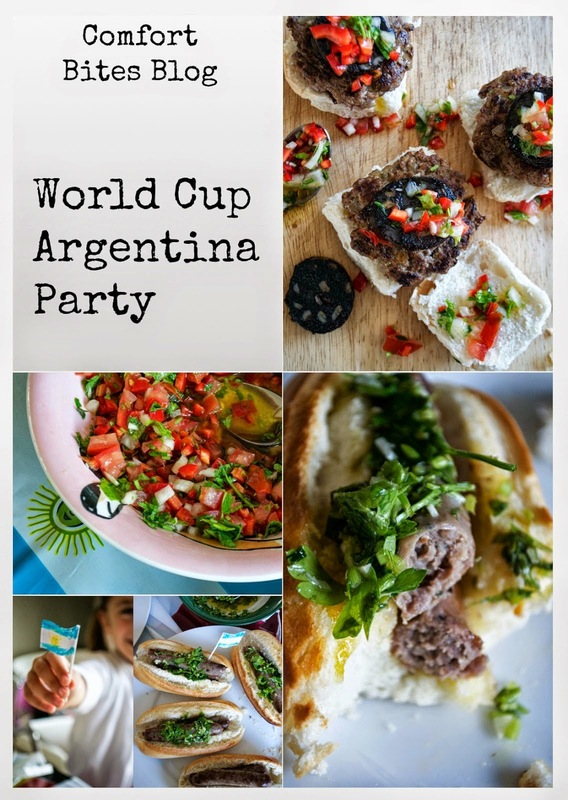 I made them for my World Cup Party, along with some beef burgers topped with a slice of black pudding (morcilla) and some crunchy salsa criolla. This was the aforementioned British-Argentine mash up. I had some dulce de leche on the table and I'd served up some clotted cream and jam for some friends to spread over their scones for pudding one afternoon. One of them grabbed the dulce de leche and used that instead of the jam. A new love affair (as if you needed an excuse for one) with dulce de leche was born that day. And no one kept to their diet for the rest of that day. We Brits think we've got it covered with eggs and bacon. Or black pudding. But I don't think we often have it with beef. And it's divine. 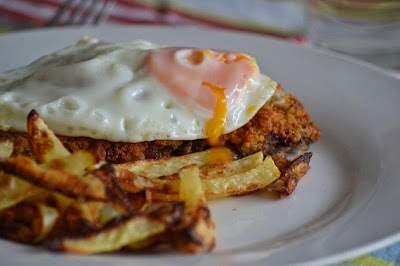 Thinly sliced steak, covered in a crisp breadcrumb coating and then fried - and served with an egg on top. 'A caballo' literally means 'on horseback', representing the egg sitting atop the sizzling piece of beef. 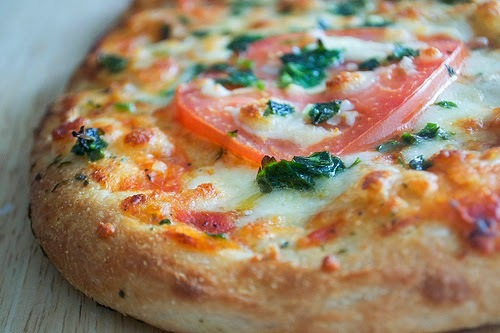 This is pizza, but it's a kind of cross between a Margherita pizza and garlic bread. Parsley and garlic and scattered over the top at the end. I ate so much of it while I was there. I gained weight. Obvs. Addictive. Crunchy. Sweet. Salty. Warm. OK, I know I've got you. 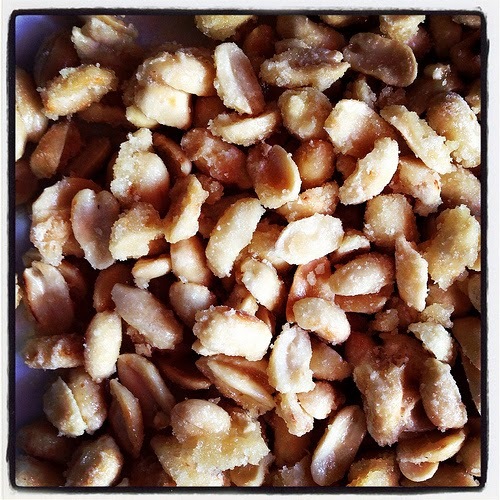 They only take a few minutes to cook, and all you need is a frying pan, some peanuts, sugar and water. If you're going to cook an Argentine-style asado, you've got to do more than slap a couple of burgers and some chipolatas on the barbecue. 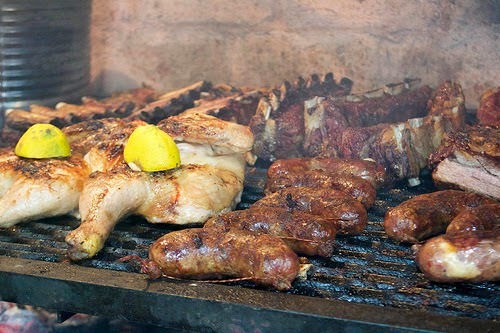 I wrote this guide on what to eat at an asado - chicken legs seasoned with lemon, garlic and parsley; kidneys; choripan and beefy joints of meat. 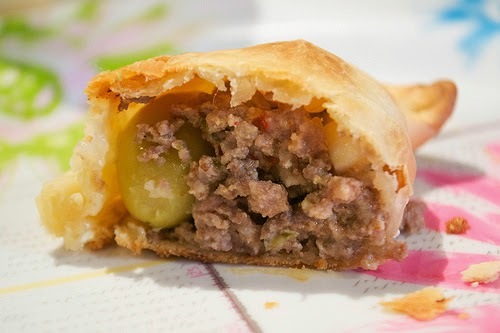 Beef empanadas are so typically Argentinian. 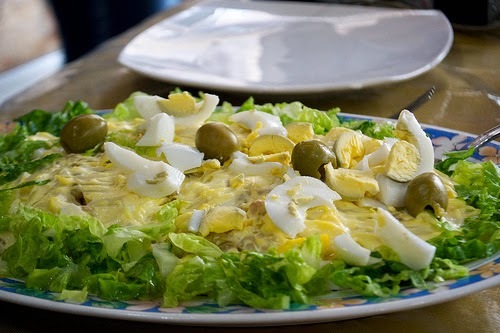 I love them, with their filling of minced beef, hard boiled eggs, olives and onions. But then there are tuna empanadas too. Oh, I can't choose. Have both. 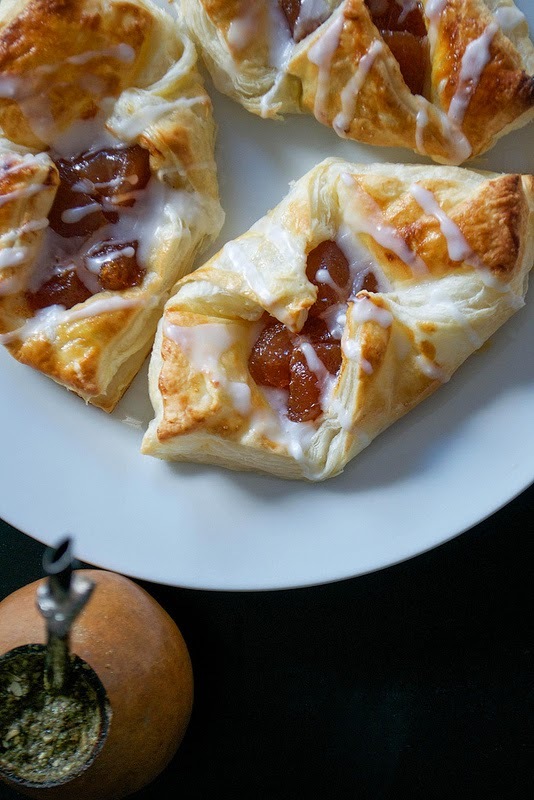 Little bite-sized pastries filled with membrillo (or dulce batata) and then drizzled with icing. 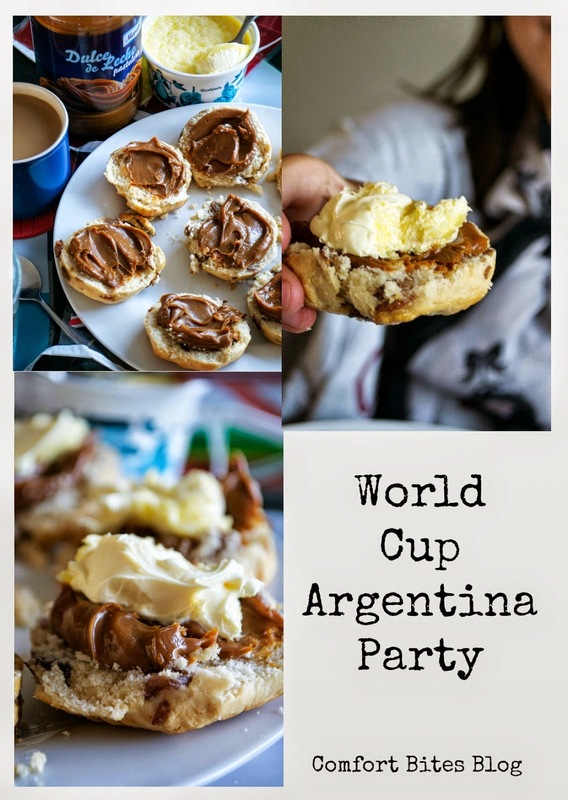 Easy to make with ready-made pastry along with a sip or two of mate, Argentina's national tea.